This is the ninth part of a series of articles celebrating the 50th anniversary of Doctor Who. Over the years there are certain stories that mean a lot to me either from personal memories or involvement I had in fandom through the years. These articles are not meant to be close examinations of the plot or production but more about what these stories mean to me on a personal level. Enjoy. 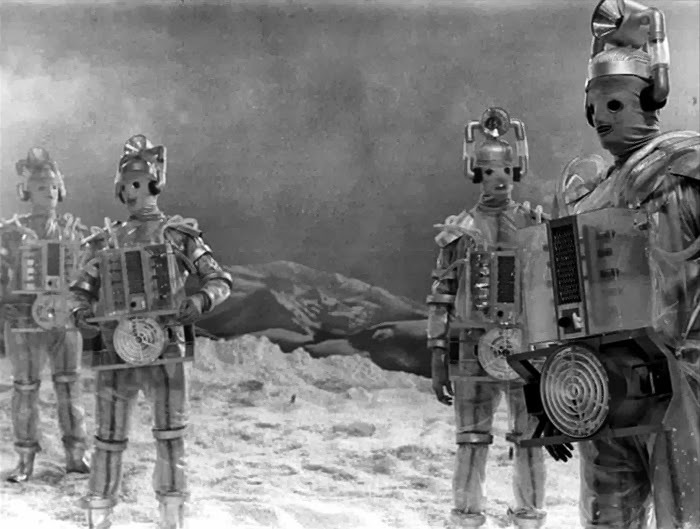 When I tell people one of my favourite stories is The Tenth Planet, I often get the response, “Really?” Yes, really. It might be odd that I am doing my September 50WHO article in October but it might be even odder that I am choosing the final story of the original Doctor William Hartnell for my article celebrating his era. Unlike final Doctor stories like The Caves of Androzani or The End of Time, The Tenth Planet does little to celebrate the original Doctor for his final adventure. He is not really heroic in it or is he even present for most of it. In fact, behind the scenes, most of the cast couldn’t wait for him to leave. I admit out of all the stories of his era that ushers in “firsts”, this may be an odd one. This is the third of 4 times I have written about this story this year. Yep, this year alone. I wrote an article about it in You and Who arguing why you should love it. I wrote a review just on the animation for Episode 4 when it came out with the Regenerations set. Obviously I am writing this mind-blowing expose and finally I will be writing the R1 review when the story comes out in November. Not bad for a story that doesn’t have the legion of fans like it should. When I had the opportunity to write the article for You and Who, I came pretty late to the party. It’s not like anyone asked the writer for the amazing blog From the Archive to grace them with his gift of storytelling to write for their humble publication. The reality of it was I stumbled across the web site and saw they were still looking for submission in December of 2012 while all submissions were due at the end of January 2013. There must have been some mistake. 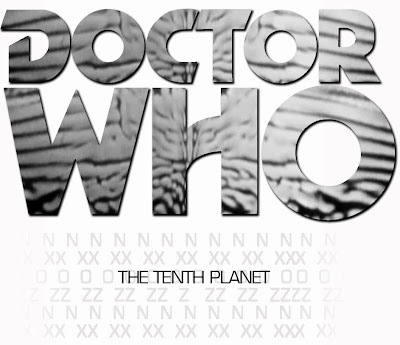 Just a few stories were available to write about and one of them was The Tenth Planet. Perhaps everyone assumed it was taken. So, I sent an e-mail to JR Southall who was editing this wonderful piece that had proceeds going to Children in Need. I carefully crafted an e-mail outlining my resume, if you will, of what I have done for my blog. I even included a few links for him to sample; delicious morsels of my skill. I got a response back that basically said “sure”. So, I set off to work. While setting out to write the article, I thought about what made The Tenth Planet great for me. I looked back at my childhood. When I started to really get into the series, themes would develop. There were things that I loved and every time they would appear I was fascinated by them. One of those themes were the Cybermen. I loved them in The Five Doctors. I love the design and I love how they spoke. I loved the story behind them. As I started to get into the books and seeing older pictures, I realized I loved the design. The Cybermen is one of the few monsters that have radically changed over the years but because they kept certain simple design aspects, once you see a Cyberman you know it’s a Cybermen. I was fascinated by their design. I was fascinated by their history. They always changed but were recognizable. Yet one design always stuck out. Guess which one I am going to talk about? 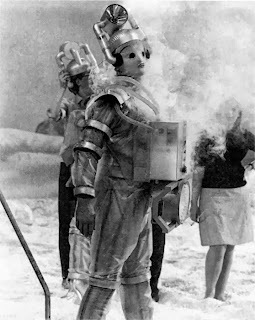 The Tenth Planet Cybermen is like nothing we have ever seen in a design before. It is almost ridiculous to see how bold it is. 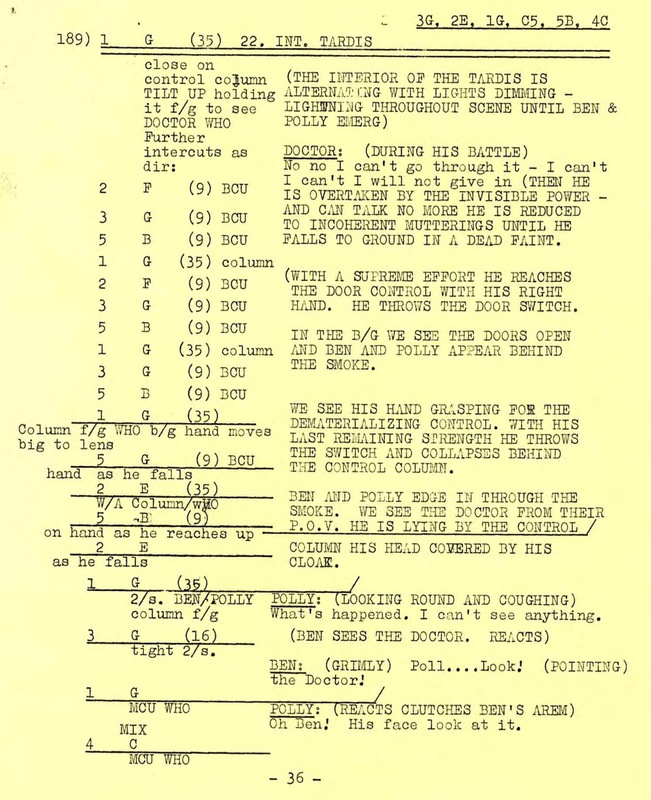 The original concept that Kit Pedler came up with was too complex, even for a feature film. Sandra Reid came up with something that was iconic. When I started to get into the series more as a young kid, I started to get books and DWM which often referenced pictures from past stories. One I saw the original Cybermen with their cloth faces and blank dark holes for eyes; I was transfixed by those images. They almost looked like ghosts. I couldn’t wait to see these stories. As I mentioned other places, when KTCA started to show the Hartnell package of episodes, reality struck. So many stories were skipped over because parts of these stories were missing. It was hugely disappointing because these were the stories I wanted to see. 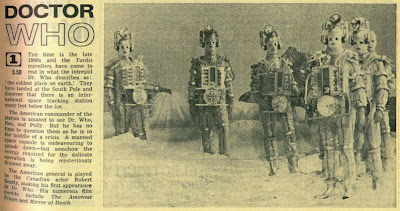 So all I had (and everyone else) were these wonderfully mysterious images of these unique and creepy Cybermen. It wasn’t until I went to Time Festival in 1988 at the St. Paul Radisson that I was finally able to see what I have always wanted…..well, almost! I remember it vividly, it was Sunday morning and not much was going on in the hotel and I wandered down to the video room. I hadn’t spent too much time in there because I was so amped up at being at my first 3-day convention. I peeked my head into the video room and something wonderful occurred. 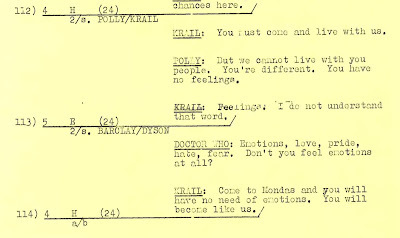 On the large screen in the room was a black and white image of Polly talking with Ben in a room with what appeared to be an unconscious Doctor. It appeared they were under siege and when they spoke with Barclay an alarm started to sound. Barclay exclaims, “Cybermen!”. My heart skipped a beat as I knew this was The Tenth Planet. The story I have wanted to see for the longest time. 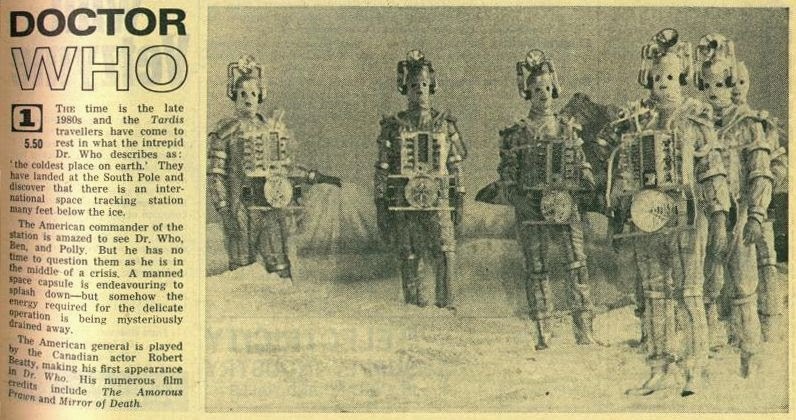 One of the next shots was of these gorgeous Cybermen being attacked by their own weapons. I was watching The Tenth Planet but I was late! It was near the end of Episode 3. I wanted to see more and once we got to Episode 4, it was a reconstruction with images from the first 3 episodes but the audio was a couple of Australians doing the voices. Remember, this was before the telesnaps for this episode had been found. Have I ever written about tape trading? Only about 50 times? OK. So not too much. After seeing Episode 3 at Time Festival, I knew that these episodes were available; they were out there…somewhere. That was exciting and that became a priority for me to find people who had these episodes. I wanted to see them….badly. I didn’t have too long to wait as I got involved with the local Doctor Who fanclub the Whoniversity and became part of the group who put on the parties. At the first party, some kind soul, lent me his tapes of the orphan episodes. 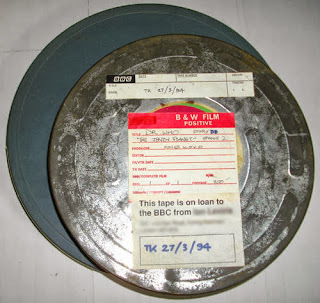 Back then, we called them archive episodes. They were camera copies. They flickered. This is where I got a crash course in what the difference between PAL and NTSC were. Up to that point, I thought a TV was a TV. Why would anything be different? I wanted more than just camera copies. I wanted something better. As I go into ad nauseum here and here. I set out to get a respectable collection together of the material that wasn’t commercially available. I would always judge how good the quality of the person I was trading with by the quality of their copy of The Tenth Planet. Over the years, my collection of copies of The Tenth Planet grew. Some better and some worse. I got a copy from historian Eric Hoffman who got his copy directly from Gerry Davis. It was quite nice looking. I remember a friend stopped over and I showed it to him. He exclaimed, “Wow! That’s broadcast quality!” No, it isn’t. It is impossible to have broadcast quality 2 generations down on VHS tape. I didn’t have the heart to correct him. Of course my friend Robert had the best copy. He has always been kind enough to share cool things with me. I never asked; I would just get wonderful little parcels of awesome delivered to my house every once in a while. Sometimes he would tell me what he was sending, others he would tell me it was a surprise and sometimes they would just show up. One day, after getting 2 teeth extracted, I went home in pain. When I got there, a package was sitting on the table for me from OH. My mood improved immediately. I opened the package and inside was a SVHS tape of The Tenth Planet. Getting something from Robert in SVHS meant that I had no PAL equipment yet. I can’t conceive of such a time. It’s like still being in the dark ages before the dawning of the Renaissance period or B.C. vs A.D. Anyway, it was perfect timing. I laid down and put the tape on. The quality was simply the best I had ever seen it. 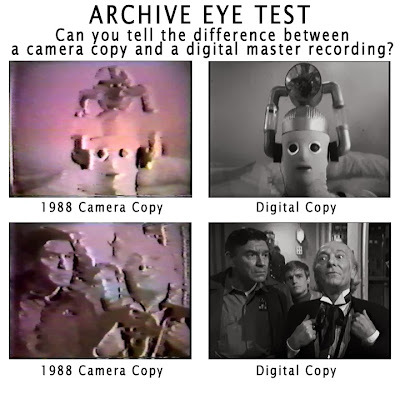 The quality was so clear, it was the first time I saw the sticky tape wrapped around the top of the Cybermen’s helmets to keep it together. I could see the actor’s eyes looking out underneath their cloth covered faces. I ended up watching it 3 times that night. It was incredible! I think the question still is, why do I like this story so much? I think it is atmospheric. Even the bit where Ben is crawling through those oversized tunnels is really cool. The set for Snowcap is believable. It highlights that sometimes technology doesn’t change that much over time. 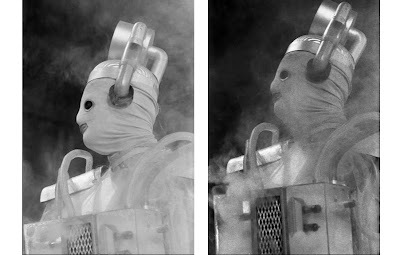 If you ever look at the sidebar of this blog or see me on any forums, you will always see a Tenth Planet Cybermen. I am absolutely mystified by this photo. As you see below, I have included the photo but next to it in another photo taken in succession to it. 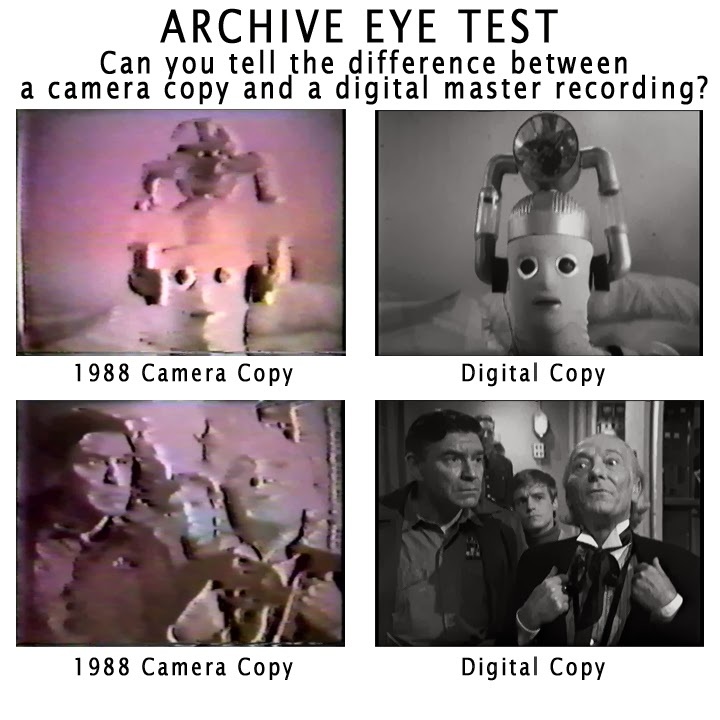 This is on The Tenth Planet DVD’s Photo Gallery and I have never seen it before. I think the story would have been thought of more highly if we had Hartnell for Episode 3. 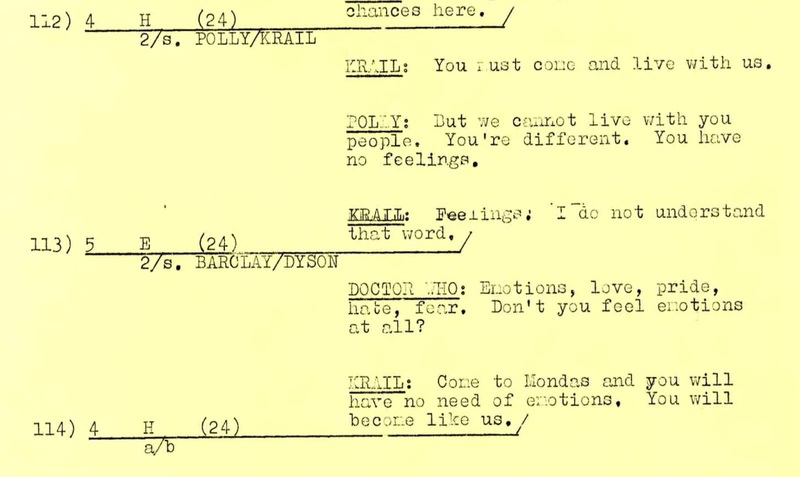 It is very obvious how lines had been moved around even to the point where Ben mentions something the Doctor had told him in a conversation we never saw. That’s because that line was meant to be in that episode said by the Doctor. They did the best they could with a major change in the production of the story with very little time to get it done. Of course Episode 4 being missing doesn’t help matters. Arguably Episode 4 is one of the most sought after episode of missing Doctor Who. Now, there are many who may not agree with this and that is fine. I think Episode 4 is the best of the 4 episodes of the story because we get the real intent of the Cybermen. They always had bad intentions but suddenly it becomes obvious how tricky they are in trying to achieve their mission. It is a great piece for the final act of this story. 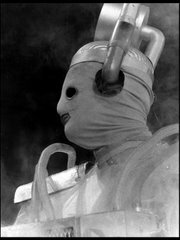 We get a lot of Cybermen and they are creepy in this episode. Gee, wouldn’t it be nice to see this someday? I feel like anything is possible now. Like I mentioned in my article about the animated Tenth Planet 4, having the episode animated really puts a lot of pieces together. I never thought I would say that about animation but I feel like the story is whole. Of course the one thing I haven’t really mentioned is that this is the final William Hartnell story. The man who created this wonderful character was stepping down. Alright but not by choice. For whatever reason, he had been difficult to work with and he needed to go. Health issues are often cited as the main reason. 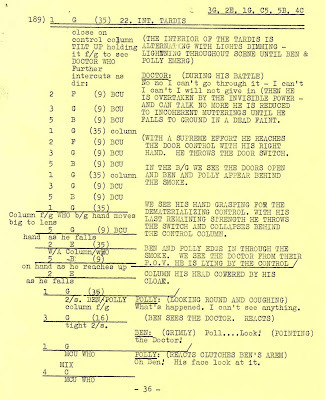 Producer John Wiles was looking to replace him as far back as early in the third recording block and a real plan was in place to replace him at the end of The Celestial Toymaker. When the Doctor became visible again he would do so as a different actor playing him. Thankfully that didn’t happen that way because that’s not good enough. Are we missing the biggest part of the 50th anniversary celebration? We can celebrate the beginning of the series or the first Dalek story but we can pinpoint the longevity of the series on a concept called regeneration. If Hartnell was replaced at the end of The Celestial Toymaker, it presumably would be the same character but played by someone else. It possibly could have just been a clone. Regeneration is a reason and story builder. Now there is a conceivable reason why we have a new actor playing this role. It also gives a wonderful reason why this is not a re-hash of the same character but a new one. It is the single most important element to the series and without it, we would not be celebrating it now. 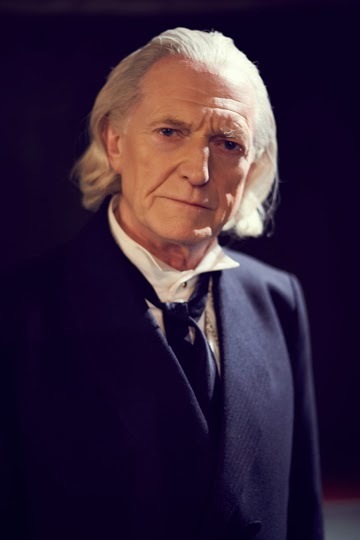 It is exciting to see the docudrama An Adventure in Space and Time being made that focuses on the time of William Hartnell while he played the Doctor. David Bradley looks quite good in the role and it will be nice to see all the recreations of many of those stories and get an idea of what it was like while making the series. I can only imagine what William Hartnell would think to see the show he was so instrumental in celebrating its 50th anniversary with new episodes currently being made. I won’t try to guess what he thinks about the quality of it, but the fact it is still being made today. Next 50WHO article: The Tenth Doctor brings us the tenth article. I had a hard time picking one but finally I decided that there is one story that I could write about. The Waters of Mars and the controversial Time Lord Victorious.